Saratoga Restaurant Equipment Sales was founded in 1998 by Dave & Debbie Hummel after Dave had spent many successful years working in refrigeration and equipment installation and repair. Dave recognized that foodservice operators were running into road blocks when obtaining sound purchasing information and customers. From that, the concept of a different kind of foodservice equipment dealer was developed. No matter what type of food you serve, you will need restaurant equipment. 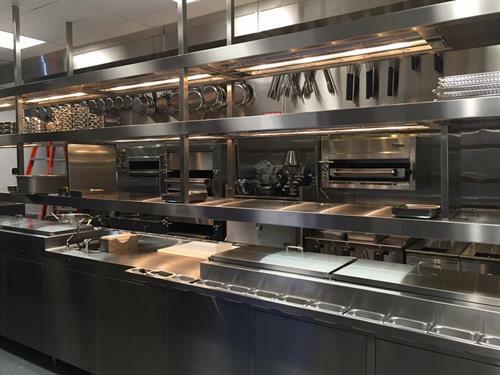 When it comes to designing a new commercial kitchen or renovating an existing space, we understand that business owners and managers can easily feel confused and overwhelmed. Therefore, it’s very important to understand the commercial remodeling process and work with a team that has experience in a wide variety of commercial renovations At SRES, we have the experience and expertise to guide you through the entire process from conception to completion. We can help with individual elements of the project or serve as the liaison between you and your architect, contractor and interior designer. Whether it’s something as simple as the right faucet, or a more specific item like an automatic slicer or convection ovens and exhaust hoods, we have you covered. We invite you to visit our showroom, conveniently located off exit 16, twenty minutes from Glens Falls or Saratoga. Our knowledgeable staff welcomes the opportunity to help you find exactly what you need for your business or home.